We are born to move but some of us just forget how. Thanks to hours and hours spent sitting in couches, chairs and cars, poor posture and improper breathing technique, many of us as adults have steered our bodies away from natural movement patterns. Being able to move freely and naturally is a gift that some us take for granted, up to a point where we no longer remember how to move fluidly. It is easy to get consumed with our busy schedules, the hustle and bustle, and the stress that follows. Primal movement is about slowing down, taking a deep breath, and re-teaching your body how to move the way it knew how as a young child. Because we are all born with the ability to move naturally, primal movement is for anyone who wants to regain the ability to move naturally, while reaping physical benefits at the same time. It is about “going back to the basics” when it comes to body movement, and gaining back the flexibility, proper posture and overall well-being that came so naturally before everyday stresses changed the way we move. 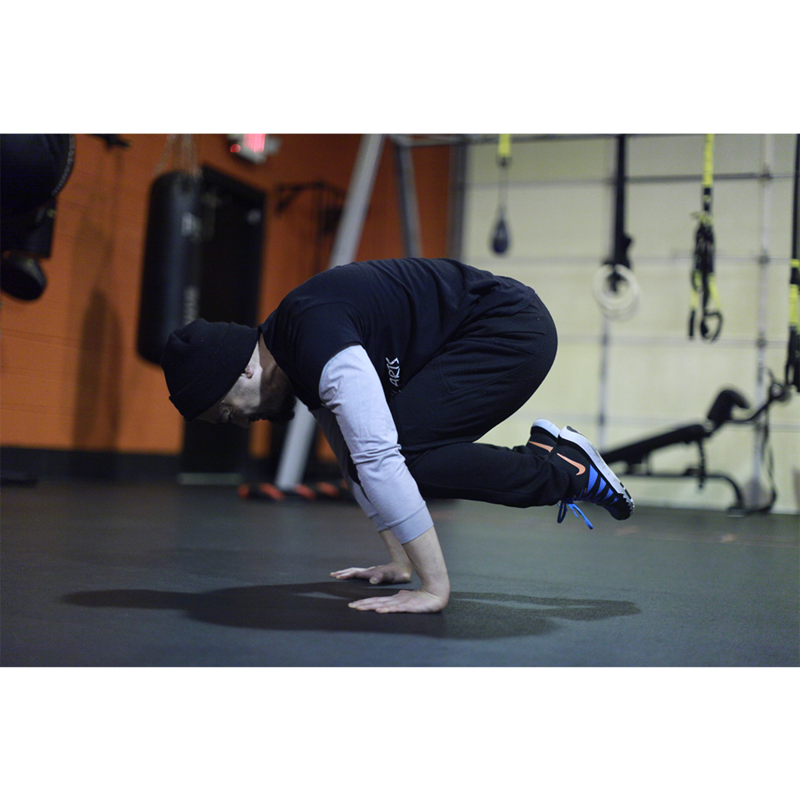 Primal movement is about using our natural movements to strengthen and condition the body. It incorporates a combination of traditional and modern training, integrating the discipline and breathing method from traditional martial arts to modern arts to create a holistic curriculum that will yield results. You will not only see the difference in how you look, but also feel the difference in how you move as you go about your everyday activities – improved posture, increased flexibility, strength and balance. You will be amazed at how improving your posture, breathing and basic movements not only positively change the way your body feels, but it will also change your mental well being. Our ultimate goal is to help our students learn to be able to properly move again, and be more conscious of natural body movements. I have one student who came up to me the day after his firsttrial class at primal movement that his hands could touch his toes for the first time in decades. Primal movement can restore your body’s ability to move and reach. Many of the movement exercises engage your spine, which is often times neglected by adults, thanks to sitting in the same place for long periods of time, and other bad habits that we form. You will find yourself more conscious of your posture, walking taller and straighter (no more slouching!). Many traditional exercises isolate or only work on a certain muscle group. Because primal movement exercises trigger your body’s natural way of moving, you tone forgotten muscles and engage more muscles during the same time you put into traditional training. Don’t be surprised if you wake up the next day and feel soreness in muscles that you haven’t felt for a long, long time. Primal movement is about reverting your body back to its innate ability to move itself. After long periods of practicing movement, you will be amazed at your body’s strength, without the need of heavy weights. If you would like try out firsthand primal movement and how it can help restore your flexibility, improve posture and get you moving again, sign up for a trial class at Strategic Academy.